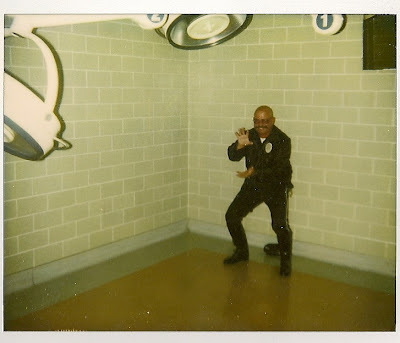 A few years ago my Dad wrapped up and gave to me a curious set of Polaroid photographs. I had no idea what I was looking at. And more importantly, I had no idea why my Dad thought to give them to me. He sat there while I looked through them with an expectant look on his face, my Mom right beside him. My Dad works in the film industry. Seeing that my Dad was dressed for work in the first photo, I thought long and hard, searching my memory for a movie or old television show that might have been filmed here. 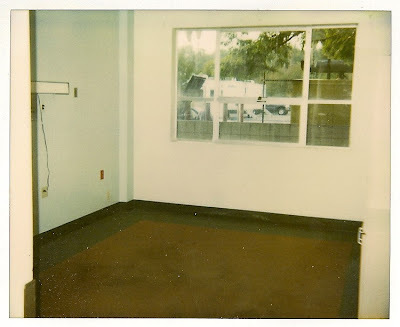 In the second photo you can see a dressing room trailer out the window, indicating that it was being used at the time for a film shoot. I tried to figure out the significance of the room number, 116. I pondered whether the ABC wallpaper border looked familiar. I finally looked up at my Mom and Dad, who were both on the edge of their seats. I finally asked, "What am I looking at? " Then Dad handed me this final photo. As I looked at it, my Dad did his best to not cry, sucking in and holding his breath. And then it all became very clear! 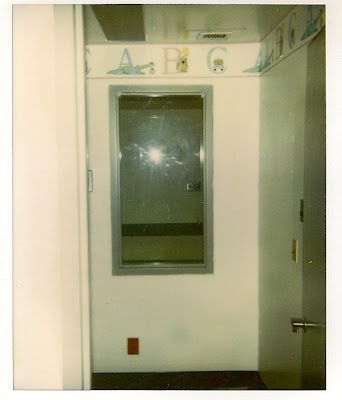 These photos are from the hospital where I was born! The hospital had closed a few years after my birth and was later used as a teaching facility. Still later, it was used as a film set for quite a few movies and television shows. Once in jr. high, my parents drove me past the old, deserted building where I made my debut in this world. It was somewhat rundown with weeds in the parking lot. On the day these photos were taken it was being used for a feature film, and my Dad grabbed the set photographer to take a stroll down memory lane to the place where my Mom and Dad went from being a couple to being a family. 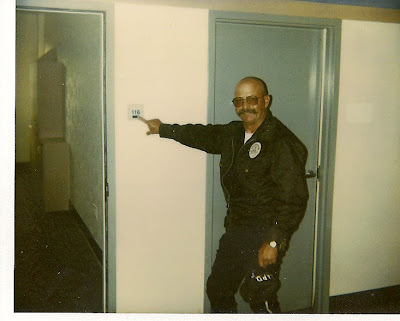 Before I was born, my Dad was an LAPD officer and frequently during his rounds he would go to this very hospital to peak at the little newborn babies. All the nurses knew him quite well. 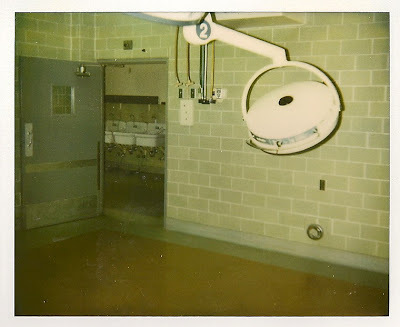 On the Christmas Eve night that I was born in the 70's, it was not common practice to have fathers in the delivery room. And my Dad didn't really want to be a part of it any way. However, all those nurses who loved my Dad gave him no option to simply wait with the rest of the expectant fathers. Instead, he was ushered in with my Mom and therefore witnessed one of the most amazing miracles there is- the birth of a new life. The experience obviously touched him, as over three decades later he is still reverent when he says, "there was just your Mom and I, and then suddenly there was another person there with us, you". I was born just a few minutes before Christmas, and so just about every year I call up my Mom just before midnight and beg her to tell me the story of my birth. It's a dramatic story of two young soon-to-be parents who were at the mall on Christmas Eve and split up to find each other a gift and in the end found themselves at the hospital with the best gift of all: Me! Since I wrote it all out for all of you, I think I'll give them the year off! Thanks Mom and Dad, you are the best parents a girl could ever hope for! I love you so much!